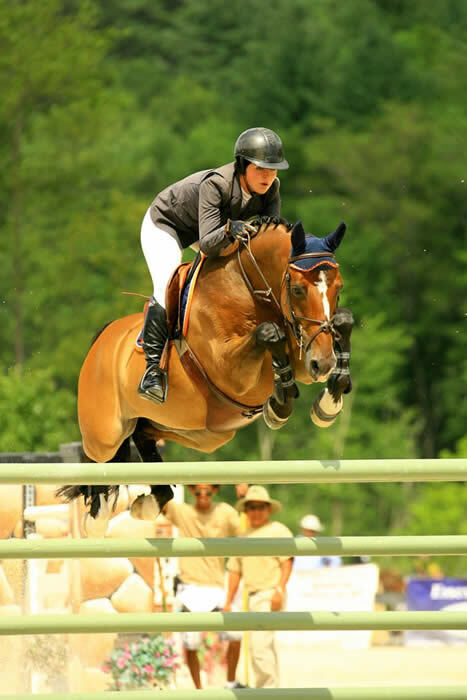 Hillary Dobbs hit the million dollar mark in winnings during the 41st annual Lake Placid Horse Shows. 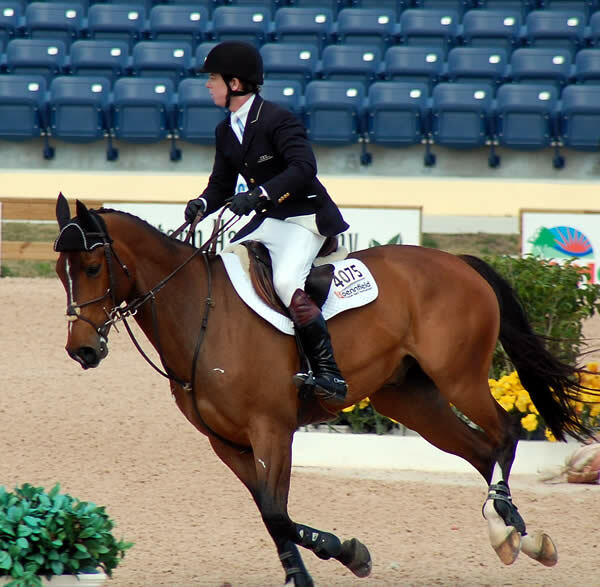 The 22 year old Harvard graduate placed second aboard Marengo in the $30,000 Intercat, Inc. Open Jumper Classic CSI 2* pushed jumped her past the million dollar mark. Her victory in the $30,000 Battenkill Grand Prix, the 2nd year she has won it, also on Marengo at the Vermont Summer Festival WEEK 2 put her total earnings to date at $1,023,785.75. The tornado that slammed into the Olympic stadium may have delayed the XXI Central American and Caribbean Games in Mayaguez, Puerto Rico, but it didn’t dampen the competition or spectators’ spirits. “You can plan for almost anything,” stated Liliane Stransky, the owner of Stransky’s Mission Farm and founder of the Step by Step charity. “I have learned the hard way, there is no plan with nature. Every day is unexpected, and thank God no people, or horses, were seriously hurt.” Stransky celebrated the finishing of the Step by Step Foundation’s new Tipa Tipa Elementary School in Haiti with her 14 year old daughter Daniela by cheering on both Hector Florentino (Dominican Republic) riding their bay Ultimo, and Diego Muyshodndt (El Salvador) on their jumper Ikarus, in the CAC show jumping competitions. 31 nations were scheduled to participate. 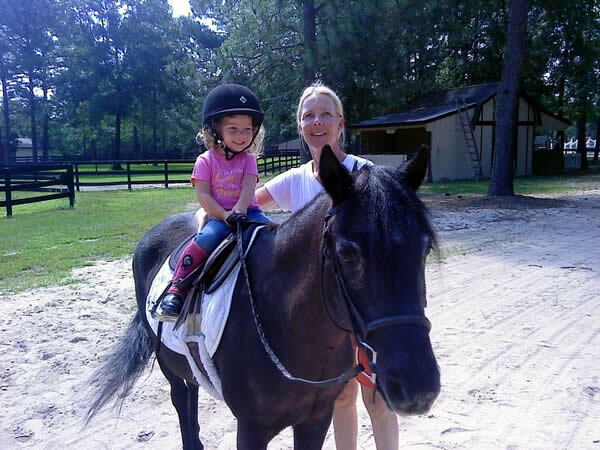 Congratulations to rider, trainer, and judge Gary Young of Roger Young Stables and his lovely wife Michaela on the opening of Camden Equine Rehabilitation & Conditioning Center in South Carolina. 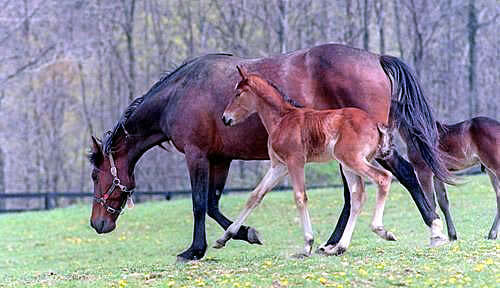 Soon their two year old daughter Stella will be able to take the reins in the family business! How Do You Make 2000 Horses Disappear? Let BLM Manage Them. July 27, 2010 – CHICAGO, (EWA) – As controversy swirls over the aggressive removal of horses from the range by the Bureau of Land Management (BLM), a more fundamental question has arisen over what is happening to the horses it already has in holding. Over the past several years, equine advocates have been scrutinizing the BLM’s horse population counts. Once again, the numbers don’t add up to their claims. © ESI Photography. 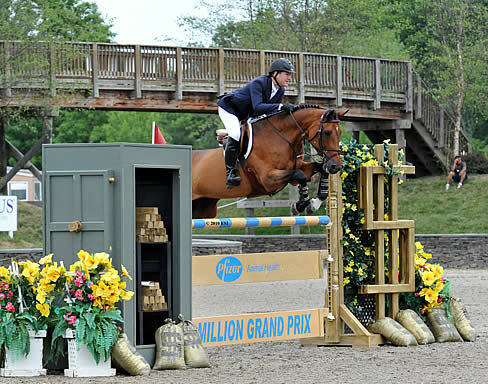 McLain Ward and Goldika 559 in the $50,000 HITS Grand Prix, presented by Pfizer Animal Health, at HITS Saugerties. SAUGERTIES, NY (July 27, 2010) — Olympic Gold Medalist McLain Ward and Goldika 559 won the $50,000 HITS Grand Prix, presented by Pfizer Animal Health, on Sunday, marking the third Grand Prix victory for the duo this year in the Strongid® C 2X Stadium at HITS Saugerties. Ward, of Brewster, New York and 18-year-old mare Goldika 559, owned by McLain Ward & Blue Chip Bloodstock, were one of 27 horse-and-rider combinations to take the field on a course designed by International Course Designer Florencio Hernandez of Mexico City, Mexico, which saw just four pairs advance to the jump-off. Hernandez’s first-round course proved challenging, as the first six competitors pairs failed to go clean, with a majority of faults coming in the two double combinations. The time allowed, at 83 seconds, was tight as well and caused many to incur time faults over the course. 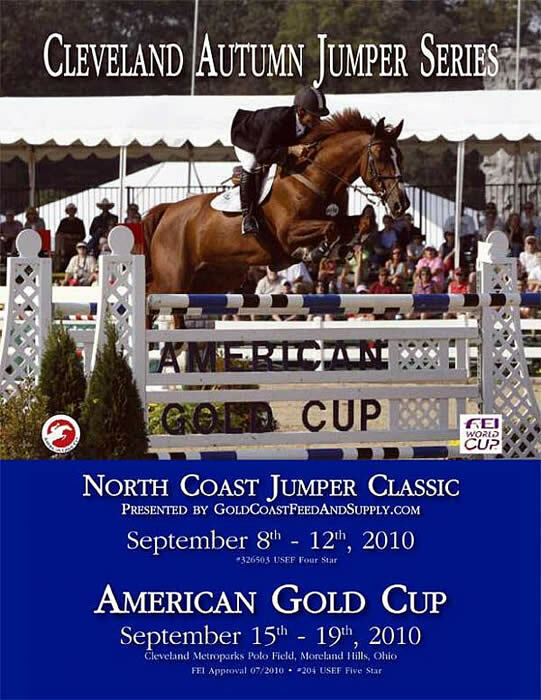 Moreland Hills, Ohio – July 26, 2010 – Stadium Jumping, Inc, the nation’s oldest and most respected horse show production company, is pleased to announce the return of the famed American Gold Cup to the Metroparks Polo Field in Moreland Hills, Ohio, just outside of Cleveland. The American Gold Cup will be the grand finale following two weeks of show jumping in the beautiful Chagrin Valley at this year’s Cleveland Autumn Jumper Series. The prize list for the two weeks of action is available at www.stadiumjumping.com. 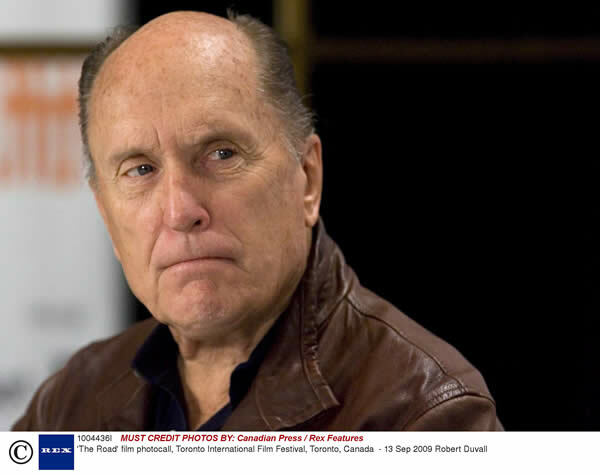 27 July 2010 – American actor and director Robert Duvall has given his support to the annual awards organised by the Fédération Equestre Internationale (FEI), the governing body of horse sport. The FEI launched the “Oscars of the equestrian world” last year to reward outstanding dedication to horse sport in five categories. Calls for nominations for the 2010 awards opened on July 16. Hollywood legend Duvall is best known for his roles in The Apostle, Apocalypse Now, The Godfather and Tender Mercies. His performances have earned him an Academy Award, a BAFTA, two Emmys and four Golden Globe Awards.